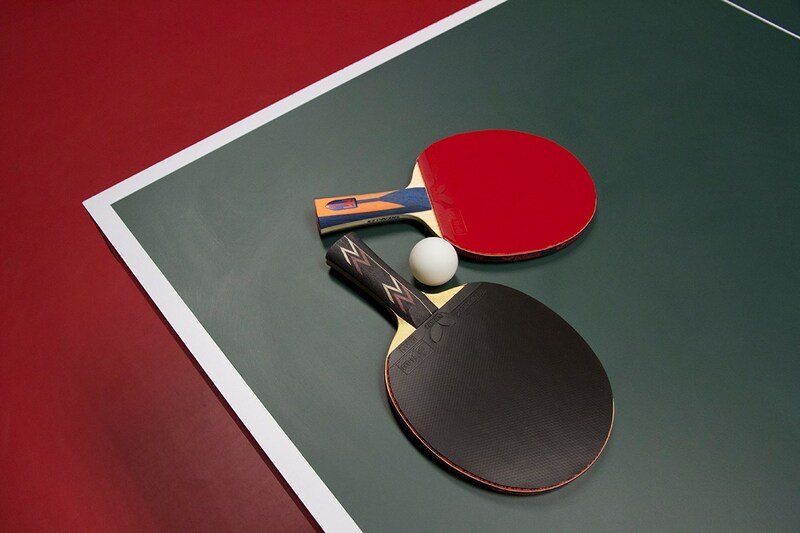 Kingfisher is a dedicated 24/7 table tennis facility. 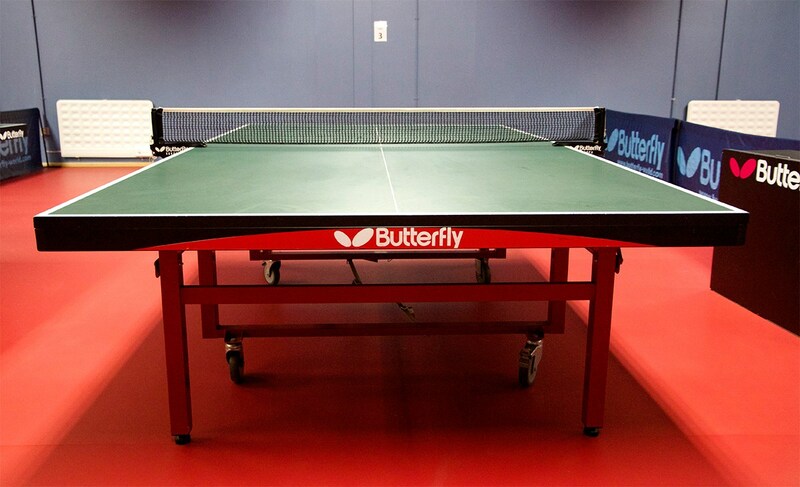 As such, tables are always setup and ready to play. A unique feature of our club is that members are provided with their own access key. Provided that tables have not been previously booked (see the Table Diary), members are allowed to practise whenever it is convenient to them. 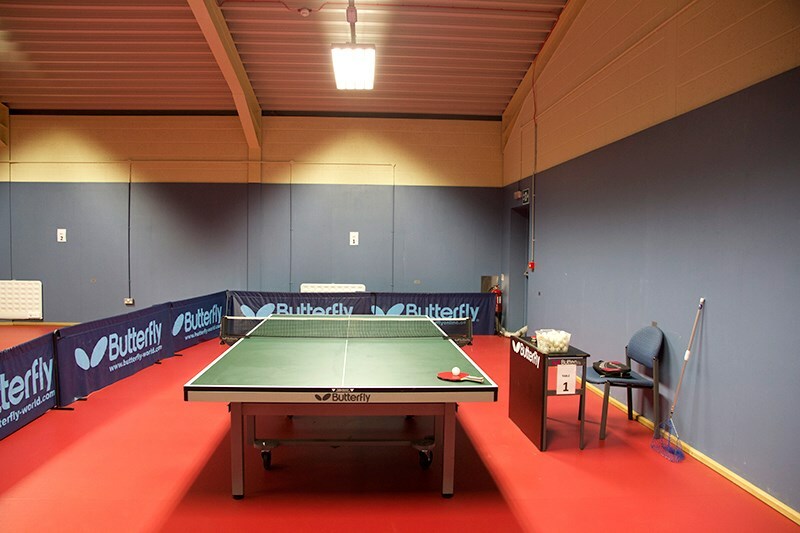 For normal club and league use, the playing hall is arranged with two courts on one side of the hall and 3 tables for practice on the other. For match play each court has dedicated lighting, umpire's table and court surrounds. 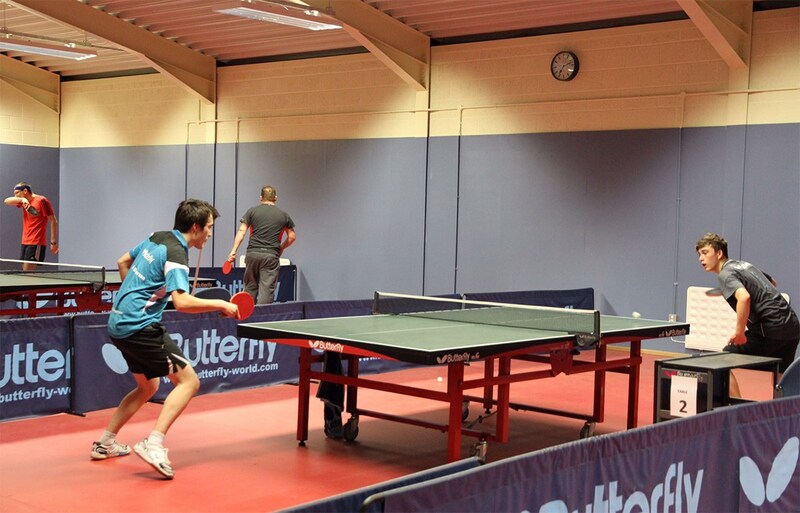 For coaching up to 6 tables (without barriers) are available. 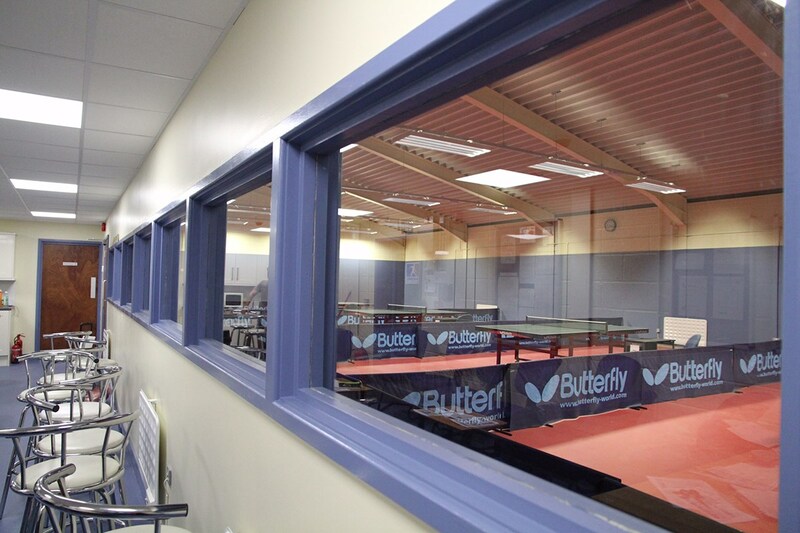 For tournament play the hall can be configured into 4 courts. The playing hall has seating for 24 people. 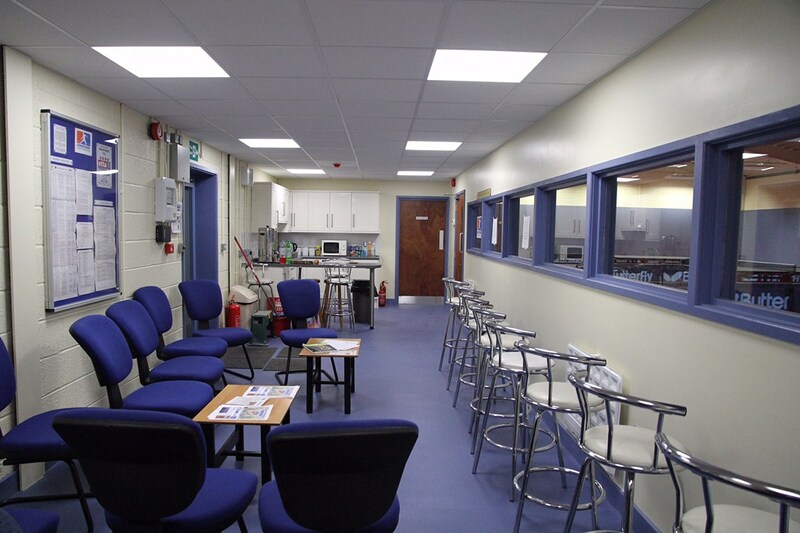 Adjacent to the playing hall is the social area which has viewing windows into the playing hall. 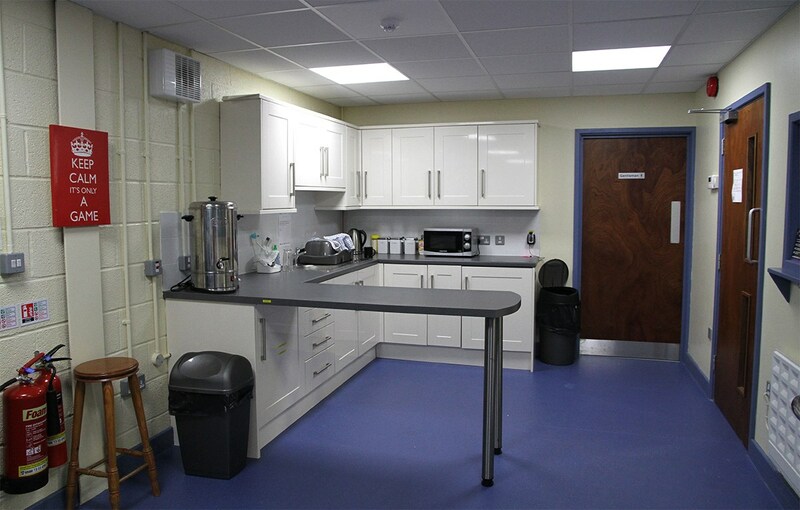 The social facilities comprise a meeting area, central seating area, a fitted kitchen with fridge, microwave and kettle and entry to the male changing rooms and shower facilities. Accessed separately from the playing hall there is a female changing room (which is also equipped with disabled toilet and shower facilities) and a storage room. Our fee structure does not allow for a daily cleaning contract, we don't provide 'mums' to clean and put away mugs or dishes - all members are asked to take personal responsibility for the club's cleanliness and to ensure that crockery and utensils are washed, dried and put away after use. Heating is provided throughout the club, this has a management system with three separate zones (two in the playing hall and one in the social area) each zone has thermostatic control and is fully programmable. 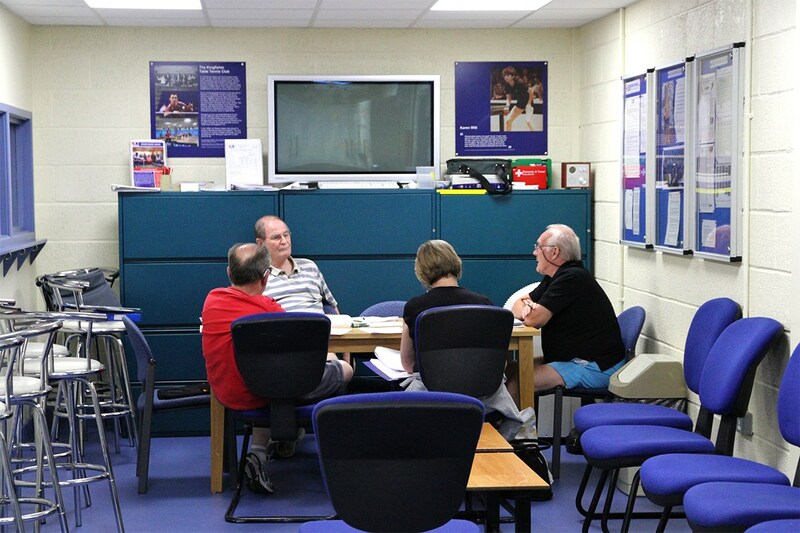 For member use, a large plasma monitor has been installed at the club and connected to a small desktop computer. The monitor and PC are not high specification but ideal for viewing pre-loaded videos of matches and training routines.